The General Assembly is the official body with the ability to create laws in Maryland. The General Assembly consists of 47 Senators and 141 Delegates each serving a 4 year term of office. These representatives are elected from 47 districts across Maryland. You must be at least twenty-five years of age (at the time of election) to be a Maryland State Senator. To be a Maryland State Delegate you must be at least twenty-one. Representatives- the members who represent you in the General Assembly are listed by county. Sponsors are the representatives who signed the bill and promoted it during the General Assembly session when the bill was considered. Sponsors will be listed at the top of each bill. How do I find the legislative history of a bill? Start with the on-line version of the original bill. The General Assembly web page describes each bill and lists a variety of attached documents including the amendments to the bill. You can see what was proposed, what was rejected, and what was adopted. “The 90 Day Report” is an easy-to-understand overview of the major issues for each year’s legislative session. Also see Checklist for Maryland Legislative History Research from the Maryland State Law Library for detailed analysis. 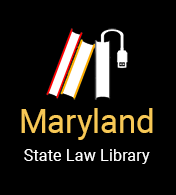 Maryland General Assembly and Maryland State Law Library web sites.